John Vanston, Ph.D., Chairman, TFI: Cconsultant, Educator, and Author in the fields of technology forecasting and trend analysis, technology/market integration, and technology management in uncertain environments. Chairman | Technology Futures, Inc.
Dr. John H. Vanston, Ph.D., Chairman, Technology Futures, Inc. (TFI), is an internationally renowned consultant, educator, speaker, and author in the fields of trend analysis, technology forecasting, technology/market integration, and technology management in uncertain environments. His MiniTrends concept, designed to increase creativity, innovation, and success, is summarized in MINITRENDS: How Entrepreneurs & Innovators Discover & Profit From Business & Technology Trends, written in collaboration with Carrie Vanston. The book has received several Best Business Book awards, as well as excellent reviews and endorsements from the media and industry leaders. During his career, Dr. Vanston has managed multimillion-dollar high-tech R&D projects, fashioned a computer-based program for planning and managing complex research activities, and developed a formal system for promoting and targeting innovation activities. He was the leader in the development of TFI's Five Views of the FutureTM Analysis Framework and the Technology Advantage Management concept. Dr. Vanston has conducted research, consulting, and education projects for a wide range of commercial, government, and academic organizations, including, among many others, Chevron Chemical, Kodak, Boeing, Nortel, National Security Agency, National Geospatial Intelligence Agency, and the Texas State Technical College System. He recently conducted a series of technology forecasts for the Texas State Technical College System in a number of emerging technologies, including nanotechnology, fuel cell technology, and technologies associated with Homeland Security. Dr. Vanston has authored or co-authored several books in addition to MINITRENDS including Technology Forecasting: An Aid to Effective Technology Management; Introduction to Technology Market Forecasting; Innovate! Straight Path to Quality, Customer Delight, and Competitive Advantage; Superconductivity: A Practical Guide for Decision Makers; Industrial Electrification in the Information Age; and Principles for Electric Power Policy. Recent published articles include Better Forecasts, Better Plans, Better Results and Testing the Tea Leaves: Evaluating the Validity of Forecasts. Dr. Vanston is a popular speaker and gives presentations, workshops and seminars all over the world for such organizations as The World Future Society, the Association of Strategic Planners, Industrial Research Institute, the Winstead Colloquium on Nanotechnology, and the Futures Studies Program at the University of Houston at Clear Lake. He Chaired TFI's popular MiniTrends Conference Series. 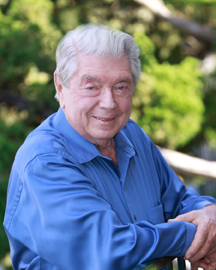 Prior to establishing TFI, Dr. Vanston served as a professor of nuclear engineering at the University of Texas at Austin. He also served as deputy director of the University's Center for Energy Studies, an interdisciplinary organization that he helped establish in 1974. Earlier, Dr. Vanston served as a Lt. Col. in the U.S. Army. Dr. Vanston has a B.S. in engineering from the U.S. Military Academy, M.S. and professional degrees in nuclear engineering from Columbia University, and a Ph.D. in nuclear engineering from the University of Texas at Austin.